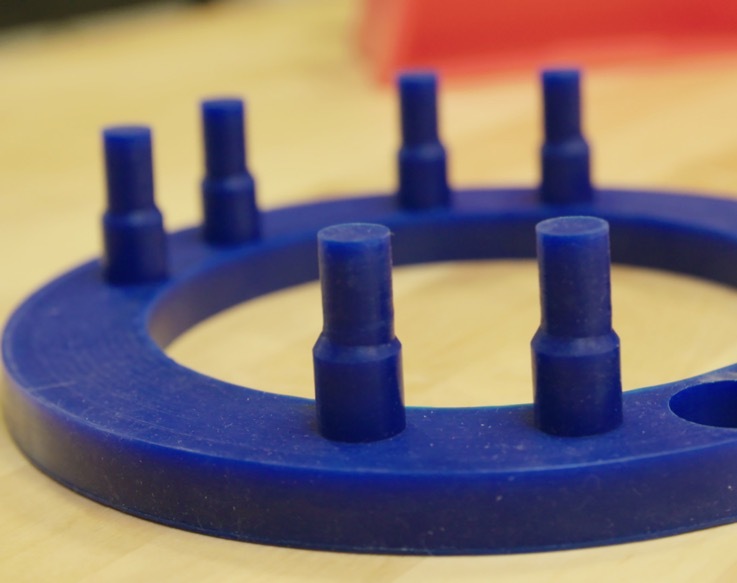 CFS understands that developing custom rubber products can be an intimidating process. We strive to make this process as simple and risk free as possible. To show our commitment to our customers, we offer a true one time set up charge for all new custom molded parts. This includes the development of prototypes and production parts for one flat fee. Rubber compression molding forms uncured rubber into a desired shape. First, the elastomer is pre- heated until pliable and then put into an open mold cavity. Closing the mold forces the rubber to fill the cavity, where the elastomer is keep under heat and pressure until cured. Injection molding feeds uncured plastic from a hopper into heated barrel. The material is then pushed by a screw-type plunger into a heated chamber. This material flows through a gate and runner system into mold cavity. The mold remains at the proper temperature until the plastic is cured. Rubber to metal bonding is a means by which rubber is mechanically bonded to a metal insert during the molding process. Rubber to metal bonding is typically used for the isolation of noise and vibration in automotive and engineering applications. Rubber to metal bonded parts can be used in valve assemblies, rollers and shafts. 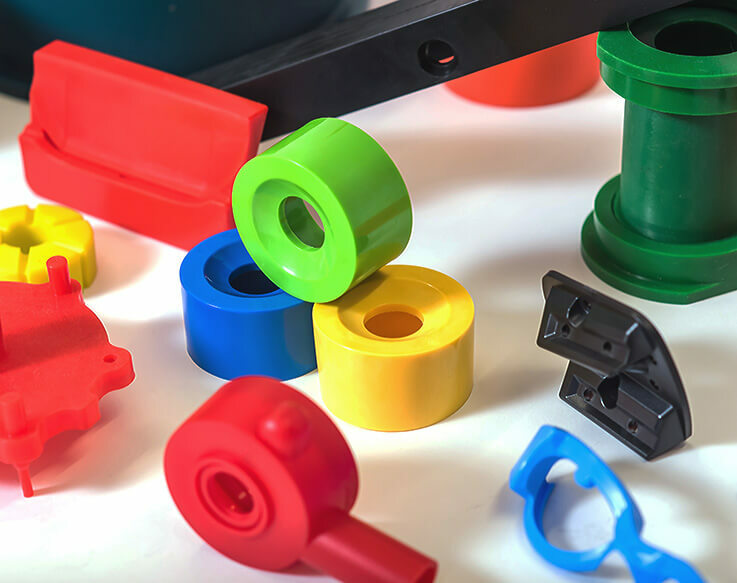 Other applications that employ rubber to metal bonded products include mounts for motors, general rubber to metal bonded parts for the rail and transport industries and locomotive suspension parts. 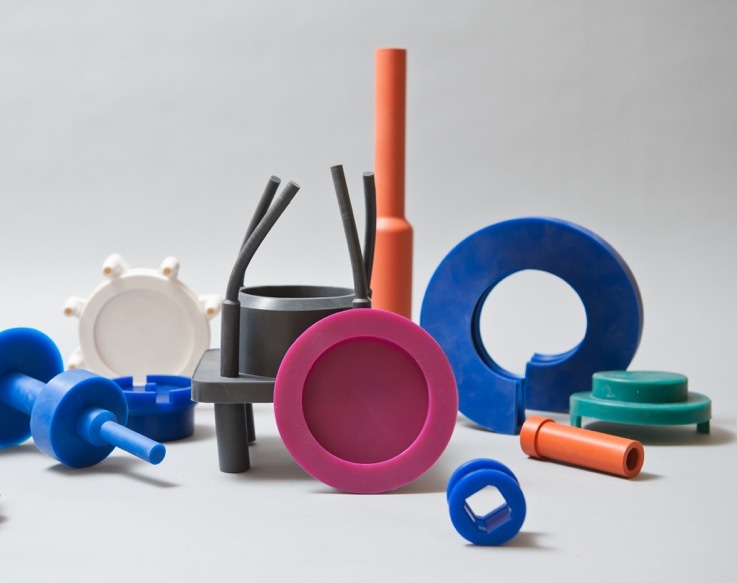 CFS offers custom rubber extrusions and extruded parts to meet your unique application. Our rubber extrusion inventory is extensive. We carry extruded parts in over 10 different shapes and in over 15 different materials. Use our extruded parts to seal out noise, control air drafts, or as decorative accessories. To learn more or to speak to an experienced representative, please contact us today. We would be happy to prepare a detailed quote for your specific needs.